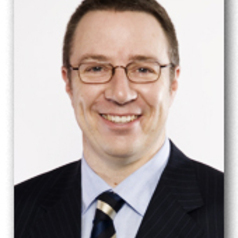 Dr Ian Winter has been Executive Director of AHURI since November 2003. He is a former Research Director of AHURI and Principal Research Fellow of the Australian Institute of Family Studies. He sits on the Editorial Advisory Boards of the international journals Housing, Theory and Society, Housing Studies, International Journal of Housing Policy, and Urban Policy, and also participates in meetings of the Housing Ministers’ Advisory Committee and the Housing Ministers’ Conference with observer status. Ian has conducted research and published internationally on a wide range of social policy matters including housing, social inequality, urban fringe living, family housing careers, community change and social capital. He published Social objectives in planning for affordable housing in 2009 in the Australian Law Reform Commission journal, was the editor of the book Social capital and public policy in Australia; and co-authored, with Lois Bryson, the book Social change suburban lives: Australian Newtown 1960s–1990s. Ian is also a very experienced facilitator having facilitated a large number of senior level roundtables and workshops for the housing sector, including Housing Chief Executives, Treasury and Planning Officials. His considerable understanding of the issues and his ability to draw out knowledge and ideas from participants underpins his success.